The Single Women campaign arose when the 2011 cohort of QGLDP fellows decided to come together to work for pertinent, region-wise social issues prevailing in their area of Maharashtra. According to Shishir Sawant, the Single Women campaign coordinator, the main objective was to empower single women to become leaders rather than victims of exploitation so that they can act as agents of social change in their own communities. The geographical areas of their work consisted of Beed, Latur, Osmanabad and Nanded districts of Marathwada. Marathwada is a severely drought-prone area where prevalent seasonal migration and deeply-rooted patriarchal norms pose looming problems when working to change people’s attitudes and behaviors. Another challenge was women in Marathwada are either excluded from the political decision making process or their participation was only for show, and as a proxy for men who were the driving force behind it. Problems for single women are even more severe, as they are often banned from leaving the home, participating in festivals, and always carry the label of their stigmatized identity. Adding to this, Shishir noted that the local organizations who took on social issues were very territorial and tended to only offer short-term benefits that exploited resources. Yet, through the fellowship programme, 32 women were empowered to stand up against their exploitation and break the stigmas associated with single women. Most of these women have been widowed by husbands who had succumbed to alcohol or accidental deaths. They are restricted from participating in any public activity or festivals, do not have access to education or the option to lead an independent life. Single women are denied access to basic information about government support schemes meant to assist them in accessing identity documents, employment guarantees and bank accounts. Women face exploitation not only in their households but also in the world outside must constantly fight to lead a life of dignity and self-reliance. In order to understand the issues and environment that single women faced, Shishir and the campaign team conducted a survey. Interestingly and fittingly, the survey was conducted, administered and analysed entirely by single women. All smiles, Shishir paints a vivid picture of a phenomenon found during the survey, “A fascinating question that cropped up was how to title the scenario where a woman left her husband.” In no language, be it Hindi, English, or Marathi is there a phrase to describe a woman abandoning her husband, while an “abandoned woman” is a commonly used term. So, a new category had to be created:MNT, or Mi Navryala Takale, which translates literally to “Dumped My Husband.” The true revelation of instituting this term on the survey was that women who had previously identified themselves in another category wanted to switch to NTB once they understood what it stood for, therefore redefining their own identity through the questionnaire category. According to the survey, 1894 single women in 3 districts were identified and then organized to set up local Mahila Mandals. The formation of this network of Mahila Mandals ensured that single women form a firm, committed, and supported leadership. The trainings of the federation gave women the opportunity to understand the meaning of gender, the fundamental rights every citizen of a country has, and the rights of women. The Mahila Mandals also became the launchpad for various activities to tackle harmful patriarchal social norms. Patriarchy propounds the idea that a woman is supposed to either bear her father’s or husband’s name before her surname. The single women’s organization broke this stereotype through an activity where women were asked to use their mother’s name before their surnames. These activities triggered an awakening among the women, inspiring them with the confidence to attend gram sabha (village governance) meetings. Next, the women were connected to government schemes, bank accounts and housing and infused with the courage to face their ordeals. They also gained the confidence in their capability to set up their own ventures. Other achievements included women taking the decision to remarry, getting themselves enrolled in further education, collectively campaigning for transportation facilities in their villages and actively participating in local governance. 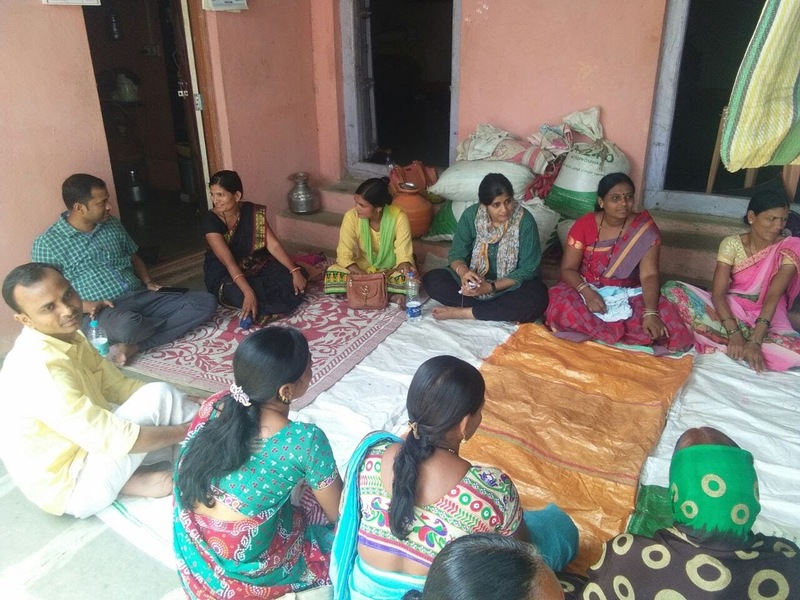 To make these collective efforts sustainable and improve the social status of women, Shishir emphasized the need for livelihood opportunities for women on a large scale, which is the focus of the campaign’s next phase. He is also working hard to draft a state-wide policy that would address single women’s issues and also get women full access to government schemes. In the short term, Shishir explains that the Single Women Organization’s plan is to strengthen their existing women committees, ensure proper legal and land ownership rights for women, increase their income and provide free education to their children and other subsidies.